The invisible way to straighten your teeth without braces. To discuss clear braces in the Hollywood FL area, please feel free to contact us to schedule an appointment. The aligners are made through a combination of Dr. Naierman‘s expertise and 3-D computer imaging technology. As you replace each aligner with the next in the series, your teeth will move – little by little, week by week – until they have straightened to the final position Dr. Naierman has prescribed. You’ll visit Dr. Naierman about once every 6 weeks to ensure that your treatment is progressing as planned. Cut treatment time in half with acceledent!! 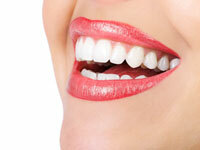 Our office now offers Invisalign treatment with Acceledent. The Acceledent Aura device is a small vibrating mouthpiece that the patient uses for 20 minutes a day while wearing Invisalign. Science has shown that these micro-vibrations help move teeth faster and this cuts down time in braces up to 50%! Ask us about Invisalign with Acceledent at your clear braces consultation.